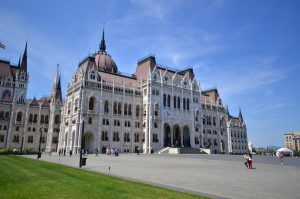 On October 25, about 10,000 demonstrators gathered in Budapest’s Kossuth square in front of the Parliament. About 50 Russian tanks were parked in the square but the crews were friendly, chatting to demonstrators. However, no one seemed to know that the rooftops of the surrounding buildings had been occupied by armed Secret Police units. After the demonstrators sang the national anthem, the snipers suddenly started mowing down with machine-guns the crowds in the square. 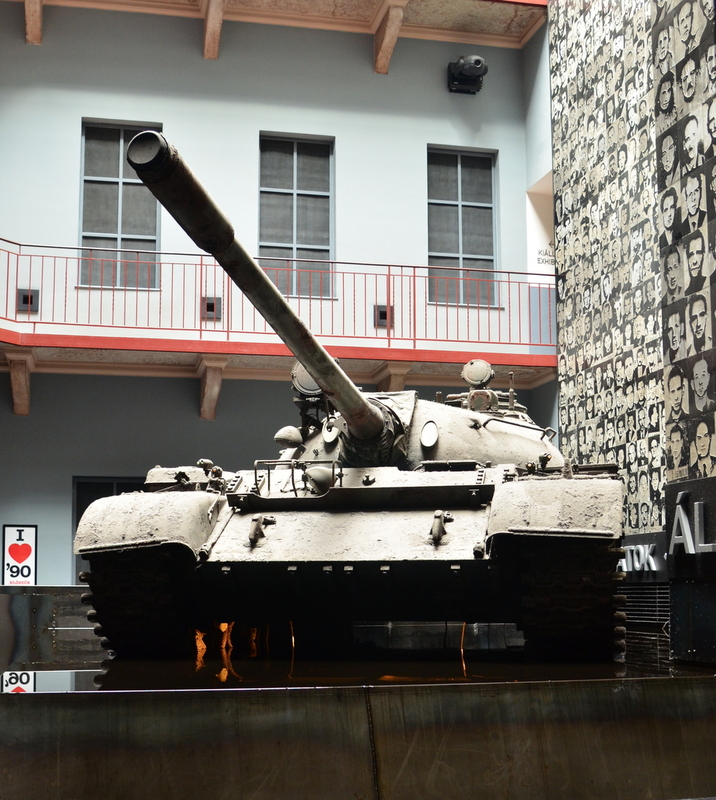 The tanks retaliated the shooting stopped, but not before hundreds of people lay dead. 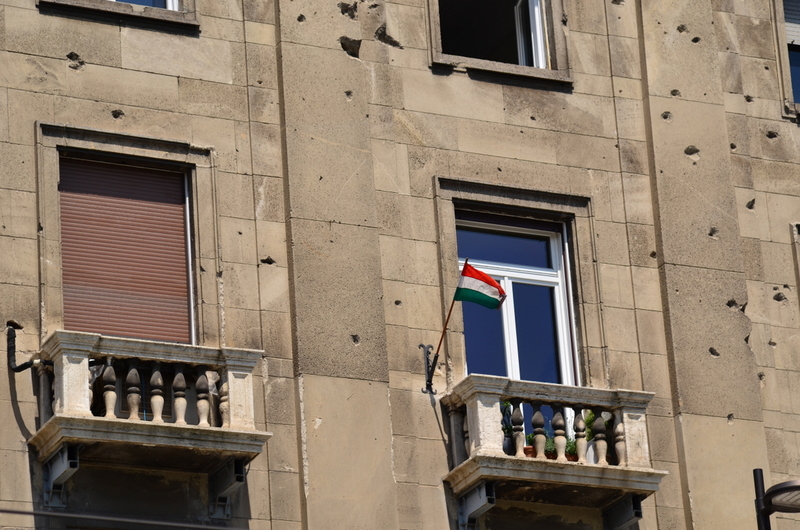 The bullet holes on some buildings on Kossuth square are still visible today. 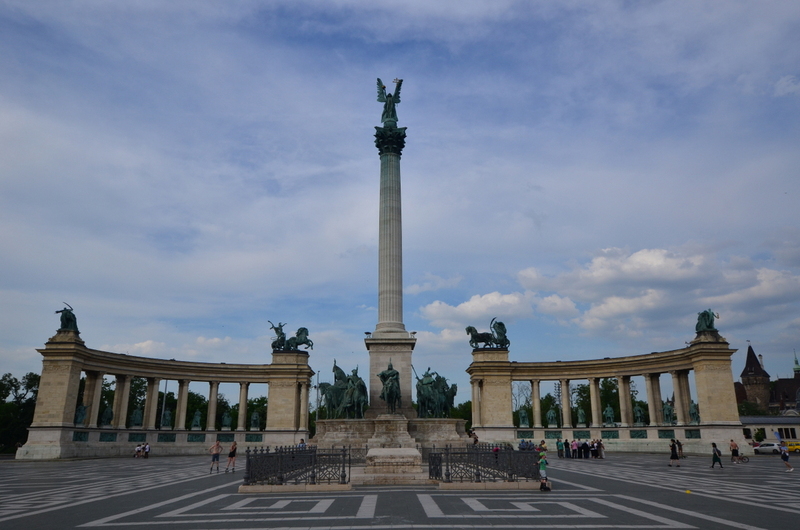 Below Kossuth square there is a free museum dedicated to that day. Testimony from eyewitnesses brings out the harrowing details on that day: how it was raining, turning the square was awash with blood and painting the cobblestones red. 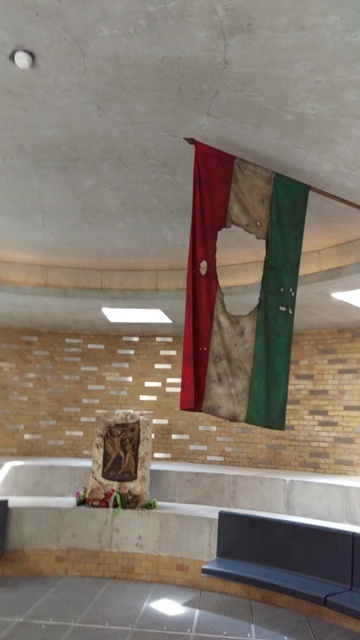 One original Hungarian revolutionary flag with the communist star ripped out flies by a small memorial to the victims. Estimates of the dead vary between 22 (official version) to 1000 with around 600-800 most likely. Even today many questions about the massacre remain unanswered. 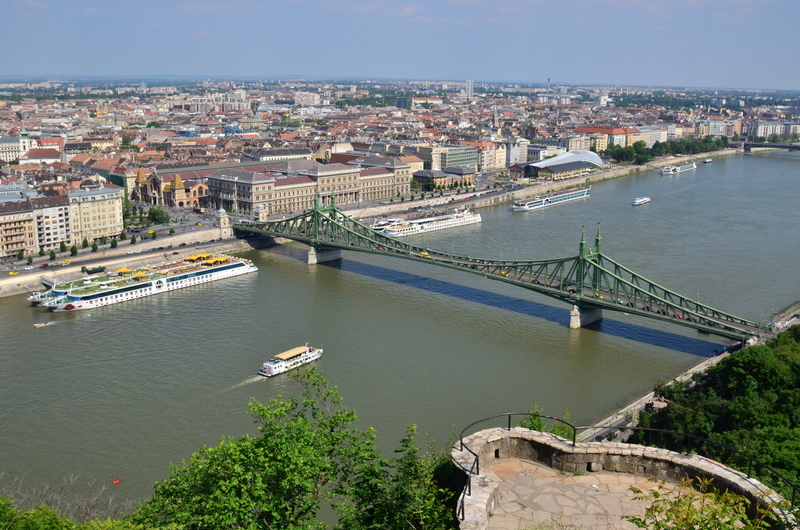 Gellert Hill occupies a major strategic location on Buda which is why its views across the Danube are renowned. 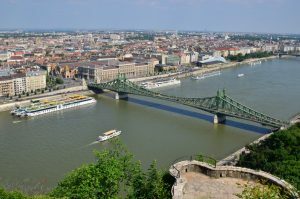 The shelling of Pest from Gellert Hill started at 4am on November 4. 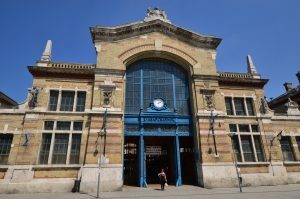 Imre Nagy was deposed and a new government under Janos Kadar was hastily installed. 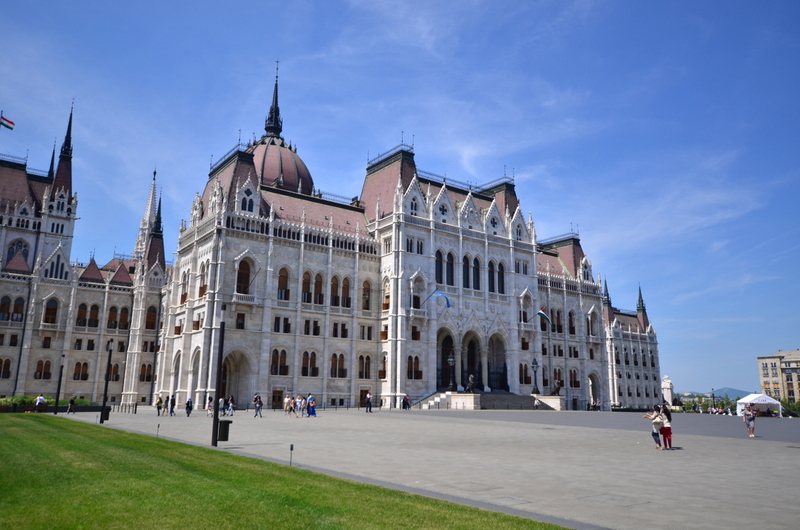 The Serbian Embassy in Budapest is a drab building with a fantastic view over Heroes’ Square. 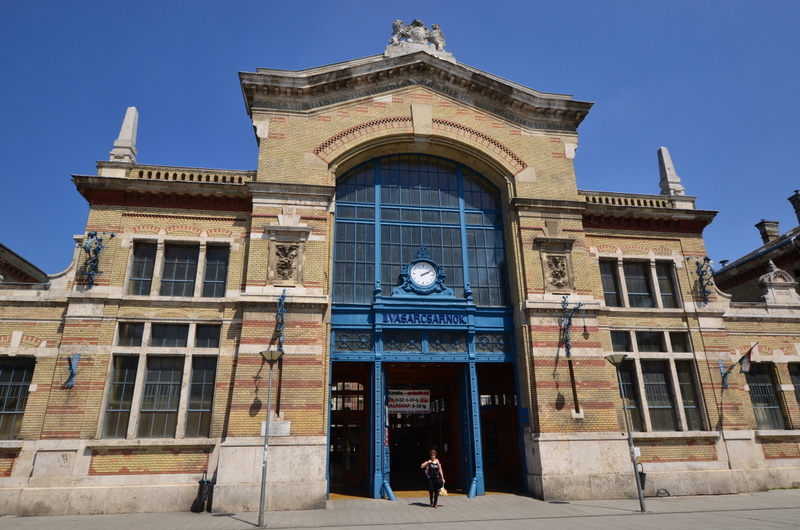 It’s an architectural misspelling among the wonderful eclecticism that surrounds it, but it played a crucial role in the Hungarian revolution. After the Russian attack, Imre Nagy, his family and members of his short-lived government found sanctuary in the then Yugoslav, today Serbian, Embassy. 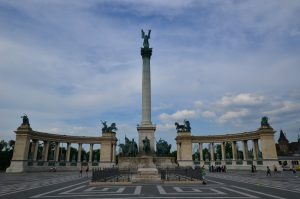 Tito’s rebellious Yugoslavia was sympathetic to the Hungarians. Promised a safe passage out of the country they left the embassy on 22 November only to be immediately arrested. Imre Nagy along with others were imprisoned, put through a show trial and shot two years later. The last act of the revolution was played in Racoczi square, overlooked by a big indoor brick and cast iron market. The new Kadar government promised immunity to all citizens who laid down their arms at an appointed spot in the square. Those who did were shot dead on the spot. 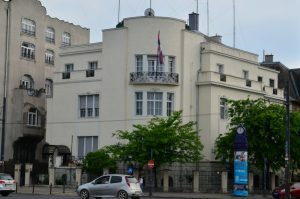 The old headquarters of the Secret Police are now a museum called the House of Terror. It claims an original T-54 tank, suited to urban warfare, of the type that helped put down the Hungarian revolution in 1956. This museum ensures that no one is allowed to forget this brief flicker of Hungarian defiance behind the Iron Curtain.